Jockey Richard Kingscote will have an operation on Friday after being injured at Wolverhampton on Thursday. Horse Fitz Flyer died and two other jockeys were injured in the incident. Kingscote tweeted: "Broke collar bone, snapped arm, broke wrist and elbow means very sore - to top it off punctured lungs. Off to another hospital for op in the morning." Former champion jockey Paul Hanagan has a suspected broken collarbone and Freddie Tylicki a possible broken nose. 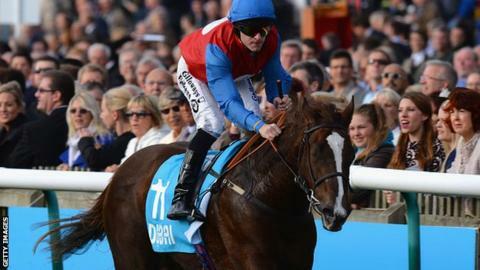 The David Nicholls-trained horse suffered a fatal injury after falling at the home turn in the claiming stakes. The British Horseracing Authority is to receive a report into what happened.